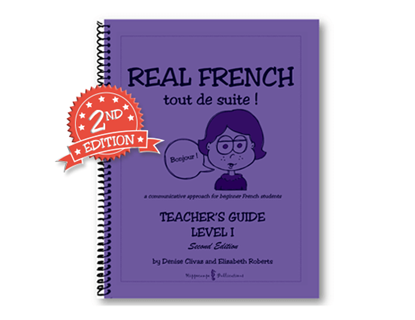 The Teacher’s Guide provides the teacher with useful information about how to use the program. This reproducible resource includes a variety of supplemental activities and student evaluations. The supplemental activities follow up on the language learned in the Partner Conversations and allow students to use the language in a spontaneous way. This resource includes both written and oral evaluations, which give the students a sense of accomplishment and provide the instructor with helpful rubrics to track student progress.